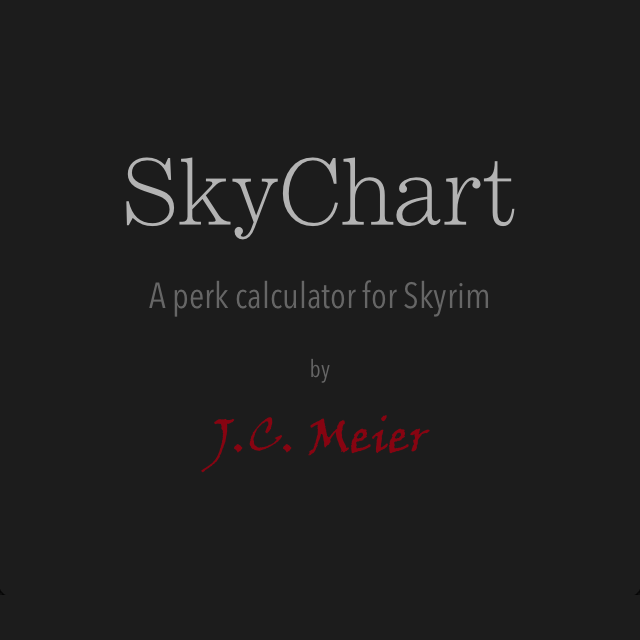 SkyChart: A Perk Calculator for Skyrim. A character perk calculator utility for The Elder Scrolls V: Skyrim. Features a handcrafted, elegant user interface atop powerful planning tools. For iPhone.